Discover how to make learning relevant, interesting, and exciting for students with Dr. Monica Burns. What makes a learning experience personal for students? And what is the outcome when schools create these experiences? 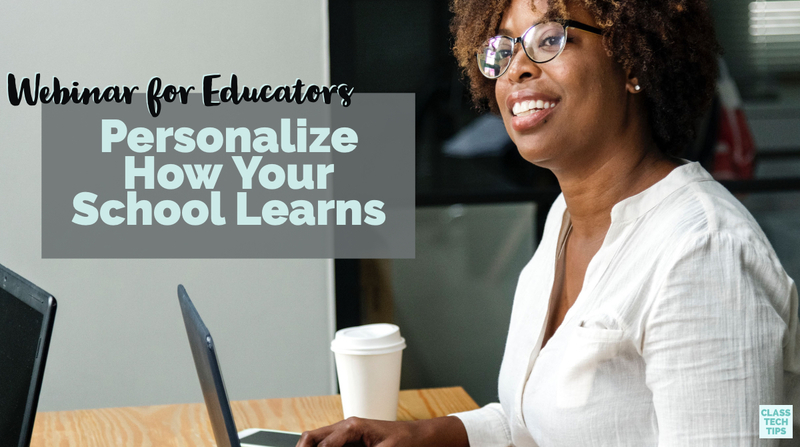 This edWebinar will focus on how administrators, principals, and education leaders can personalize the learning happening in their school or district. This edWebinar is geared towards K-12 school and district leaders. Dr. Burns will answer your questions at the end of her presentation. edWeb members can download a personalized CE certificate from their edWebinar transcript the day after the presentation. Join here! edWeb.net was founded 10 years ago. It’s a free professional learning network that hosts online communities and engaging edWebinars for educators – anytime, anywhere. In a world that offers a plethora of online tools to choose from, edWeb fulfills the need for a professional social and learning network that is focused on the needs of educators. We’ve received wonderful awards and recognition for our work. Our edWebinars are gaining state-level approval for teacher re-licensure. Don’t have access to Britannica School? Try it for two weeks free! Or CHECK HERE to see if your region is one of our state-wide subscribers.